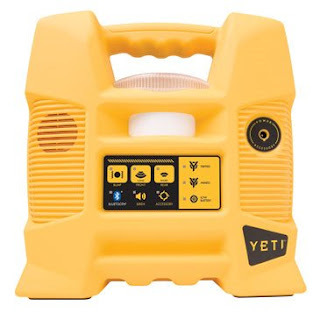 The Yeti is a portable, outdoor alarm system designed to protect your valuables from other people’s temptation. It’s designed to be left unattended in the back of your truck, near your tools or wherever your good stuff is bound to get nicked. It works like a car alarm and comes with a handy key fob to turn the unit on and off remotely so you don’t set it off as you go back and forth. It’s equipped with a 110dB siren and a strobe so you should be able to hear and see it even over the sound of power tools. The front passive IR sensor can detect anything within 25 feet and the rear sensor anything up to 12 feet away. It also has a bump sensor so you can leave it on things as well as using the motion sensor and be assured no one can just pick it up and be off it. The built-in battery is good for 2-3 weeks of use but that will probably depend on how often you set off when you go back to get things. The other nifty feature is it has a built-in Bluetooth unit. If you leave a spare mobile phone within Bluetooth range of the unit with your phone number programmed into the speed-dial then the Yeti can ring your phone if the alarm is triggered. You can also set the main alarm to be silent and just use the Bluetooth dialing feature so you can catch ‘em in the act and teach them some manners. The makers claim you can also use it to scare off critters or as a deterrent to keep people out of dangerous areas, after all there’s nothing like a 110dB siren to say “Danger Will Robinson! !” $US249.99 direct from the manufacturers. 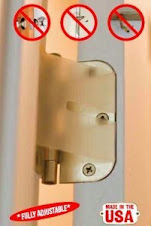 I recently came across some startling information that goes to the very core of household security. As you can see in the photo, certain people of ill intent have become quite crafty in their methods to defeat locks. While I doubt the accuracy of this method, nonetheless it should be a concern for those who regard the home and office security as vital and important for the safety and security of their families and properties. Do you know who has a key for your house? Would you prefer to be able to decide who can and cannot have a key and be assured that your key cannot be copied without your knowledge? Let's face it! Data security is at the forefront of information security protection today. The quantity of netbooks getting stolen is testament to this fact. superbly addresses the needs of schools and school children. Frankly, the Datamation Security Cart for Netbooks is a very clever idea. Providing security as well as serving as a recharging dock for netbooks, this security cart will be definitely of great use to schools providing free computer usage to their students in the classroom. Or perhaps schools which allows students to bring in their own netbooks inside the school premises. 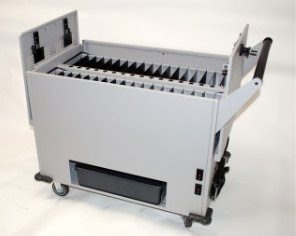 Just place the Datamation Security Cart for netbooks strategically inside the school premises, and students can easily dock in their netbooks for recharging or as a “netbook counter” so that they can freely do other things.And list of possible things goes on. Anyway, the security cart can hold up to 32 netbooks. And it fits most netbooks including Eee PC, Dell Mini 9, Acer Aspire one, HP Mini Note, XO Laptop, Lenovo Idepad. 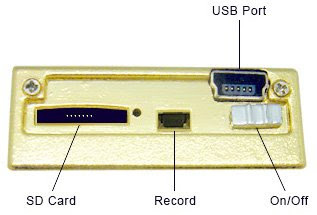 It allows for easy access to netbooks whether on both front and back sides. It protects netbooks through a pick-resistant two-point locking mechanism that holds the netbooks securely in place. CCTV and Surveilance cameras are continually reducing in price allowing mainstream people to afford relatively decent surveillance of the properties. A new product has surfaced that is very competitively priced. could probably use it as such. 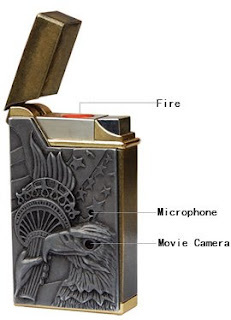 Lighters come in different shapes and sizes but few lighters double as spycams. This unusual product is choc full of "other" products. Color video with voice lets you clearly see who’s there & hear what they say. There’s no long cord for you to hide or Wireless frequency to detect. This Lighter DVR has no internal memory, and does not come with a Micro SD/T-Flash card. Please insert a Micro SD/T-Flash card before recording. 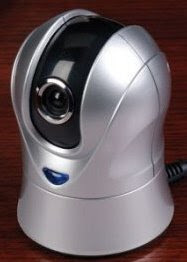 Lighter DVR with built in Micro camera for your home or office surveillance when you are not there. It records everything that you miss while you are away. Built in Digital Audio Video in case some one come to your home or office for bad purposes. You don't have to worry about the battery as it can run for a minimum 6 hours with a full Charge and a micro SD card can record up to 8 hours Very High quality of audio video on 8GB Micro SD Card. Built in lion lithium battery gives you the power of long hours in continuous recording. A great product to perform personal investigation, conduct secret video surveillance or for any ideal covert operation where gathering evidence is important for you. Hot on the heels of SchlageLink, comes Black & Dekker, owners of the Kwikset Brand, with their own version of a Z-Link powered remotely operable entry lockset. 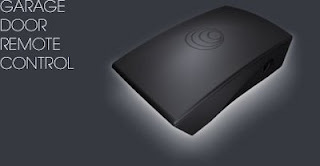 Insiders report that the product is still in final development but is supposed to be released in the first half of 2009. No idea on pricing, but expect it to be super competitive with other existing vendors as is typical with all Kwikset products. The Garage|Shadow™ easily transforms your BlackBerry® smartphone into a remote for your garage door. Our interface allows you to quickly open, close and stop your garage door just like the switch currently connected to your garage door opener. Simply choose which door you want to control and press. Do this from within your car, coming back from walking your dog or if you are just doing work around the house. As long as your phone is by your side, you can access your garage. Installation is easy. The Garage|Shadow installs just like your existing switch. Simply plug in the two wires from the Garage|Shadow, in the same location as the two wires from your switch. Activating our "automatic open" feature means that your garage door will open as soon as you come into sight of your garage. You don't have to worry about buying any more RF remotes or keypads, now, all members of the family with a BlackbBerry® smartphone can enjoy their own personal garage door remote. Due available in April 2009. Estimated List Price $40.00. January 25, 2009. Locksmithing, one of man’s oldest and most venerable professions, appears set to join the digital convergence mix with the first wirelessly-controlled door lock now on the market. It's also further proof that the device formerly known as the mobile phone will one day become the remote control for much of our lives. 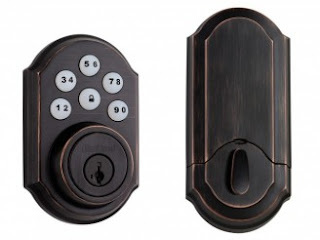 The Z-wave-enabled Schlage LiNK deadbolts and locks offer consumers the ability to remotely control and monitor access to their home 24/7 with any web-enabled mobile phone or computer. The locks provide keyless entry through 4-digit access codes that can be entered, activated, deleted or disabled on the lock's 11-digit push button keypad or via the Schlage LiNK web portal. This means never having to circulate multiple sets of keys, never needing to stay home to meet the handyman, and the peace of mind of having a listing of which codes (i.e. who?) opened each lock and when for the last 90 days. 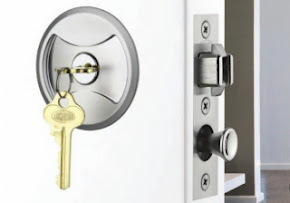 The $300 starter kits (and subsequently $200 locks) might also be suitable for real estate agents wishing to streamline their ability to show properties. 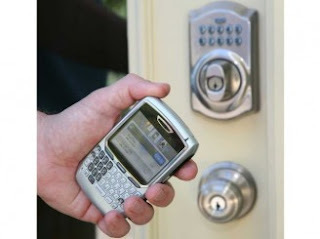 Via the Schlage LiNK online portal, homeowners can choose to receive text or e-mail notifications when specific user codes are entered on the lock’s keypad and track code activity over the past 90 days. These features deliver peace of mind to the parents of active families so they know exactly when people are entering their home. 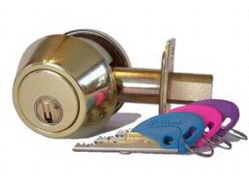 It also does away with the need to regularly replace locks for rental properties and second homes. The Schlage LiNK locks are Z-Wave-enabled and will work seamlessly with more than 300 other Z-Wave-enabled home automation devices. Check out the Z-Wave alliance web site here and investigate the other possibilities for home automation here. Designed with plug and play simplicity, the wireless Z-Wave Bridge easily plugs into an Ethernet port on the home computer's Internet router, the light module plugs into any standard 3 prong electrical outlet, and the Z-Wave Bridge's RF signals are fully encrypted using AEC 128 bit encryption protocols. Schlage LiNK deadbolts and locks can be used anywhere a traditional lock is used and are available in bright brass, satin nickel and aged bronze. The locks are powered by standard AA and 9-volt batteries and typically install in less than 30 minutes with only a screwdriver. The Schlage LiNK Starter Kit costs US$300 and includes one Schlage LiNK deadbolt or lock, a wireless Z-Wave Bridge and a compatible light module, while additional deadbolts or locks are US$200 each. There is also a US$12.99 monthly subscription fee for use of the Schlage LiNK online portal and mobile applications, which gives homeowner the power to control all Schlage LiNK locks and a wide variety of Z-Wave enabled home automation devices. Articles presented recently give rise to a deceptive method (although not illegal) being perpetrated by the two leading Mortgage Companies Freddie Mac & Fannie Mae. One particular article written by an author in Arizona includes this," Fannie Mae’s and Freddie Mac’s policy is ultra cheap for their own bottom line, but outrageously expensive for the American public who now become victims of crime and must absorb the costs associated with increased crime rates. Insurance claims have soared, forcing inflated premiums for average policy holders. Police departments must respond to more calls-- a critical challenge considering budgets have been severely cut due to the economic downturn. And all this because two mortgage giants chose simplicity for themselves over safety for the consumers they serve." Apparently Freddie Mac and Fannie Mae have been paying the locksmiths and handymen across the country to rekey foreclosed properties, but to the same keys exactly. The initiative is in effort to reduce the cost to the mortgage houses for granting access by their teams of tradespeople. It is well known throughout the professional locksmith world that keying alike properties of separate addresses, whilst generally unknown to the end user, substantially reduces the security of a property, to the point of allowing access to people of ill intent. Properties owned by the two leading mortgage houses have seen unprecedented levels of criminal damage and theft, often after foreclosure, with most blame being inferred upon the previous homeowner or tennant, when more likely it is due to thieves and burglars having access to the same key that the tradespeople use to access these properties. Items like copper piping, fixed cabinetry, lighting fixtures etc, are being removed and sold on the black market. The causation to the next owner of the house is substantial increased costs in not only fixtures, but also increased insurance premiums. In a poor economy, any added increase in costs to the consumer, fundamentally decreases the consumers ability to spend to improve the economy. The new Obama Administration is making accountability a forefront policy. It is time that the large federally backed companies also become accountable. The reason for getting your locks changed is further heightened, with this knowledge. Not only with Freddie Mac & Fannie Mae properties but all properties, even new constructions, because how many keys do you really know are in circulation for your home or office? Master key systems and key control systems need to have professional locksmith attention to maintain the security and safety of the consumer. Identity theft is a common concern, but what if your address was stolen? An Omaha woman is getting unwanted business mail addressed to her home. "Sometimes I get more mail for the locksmith than I do myself," says Lois, who doesn't want her last name used. Piles of junk mail for 24-Hour A Locksmith come to her address. "Why would a reputable company hijack someone's address and use it as their business address unless there was some reason to conceal it?" 24-Hour A Locksmith has a local phone number, but a call goes to a dispatch center on the east coast. "They put the addresses in there so you know that they're nearby and in your area, but there's no store fronts at all there,” says a dispatcher. "I'm trying to find out why that address is being used?" asked Channel 6 News’ Mike McKnight. After a Six On Your Side call to 24-Hour A Locksmith for assistance, a local locksmith was dispatched. Would he call them and ask why are they doing this? “I don't think it's any of my business, that's their problem." 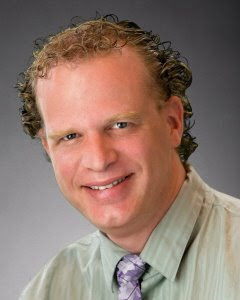 Postal inspector Dave Margritz found 24-Hour A Locksmith on three Internet Yellow Page Web sites. All show the address for the company which we won't reveal because it's Lois' house. "We're going to contact those three Web sites that I found and demand they take that listing off there because that company is not authorized to use her address," says Margritz. Lois worries that one day a disgruntled customer will show up on her doorstep when she's home alone. "I'm not in the phone book, I have an unlisted number. 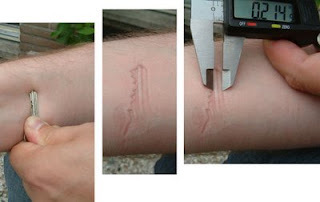 I just have no idea how this locksmith got my address and felt they could use it." The hijacking of her address by an out-of-state dispatch company for local locksmiths has Lois worried about opening her mail and her door. The locksmith who responded to our call to the dispatch center says he's an independent contractor working for Dependable Locksmith out of The Bronx, New York. Channel 6 News left numerous messages with dispatchers asking a manager to call Six On Your Side. No one ever did. Google is the worlds leading search engine, but unfortunately it is not immune to the fraudulent tactics of these and other unscrupulous companies either. I have personally investigated the matter and noticed some interesting characteristics. Specific among these characteristics is the fraudulent company's claim to be allowed to use the subject address due to their works having been performed there, at one time. This action specifically confuses the search engines ability to recognize an address as true or false. Coincidentally, the other more generic search engine known as The Yellow Pages, also suffers from similar identity frauds because similar addresses are also not checked prior to inclusion in their print books. Therefore, it begs the question as to whether or not the Yellow Pages and web search engines are aiding and abetting these fraudulent companies to defraud the markeplace?